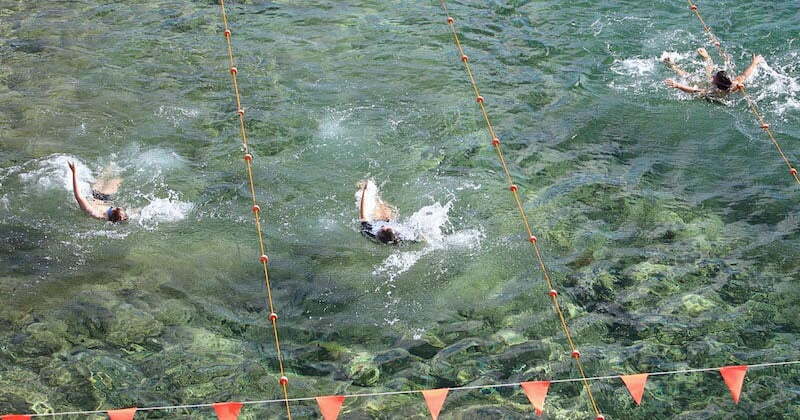 Get your togs on! 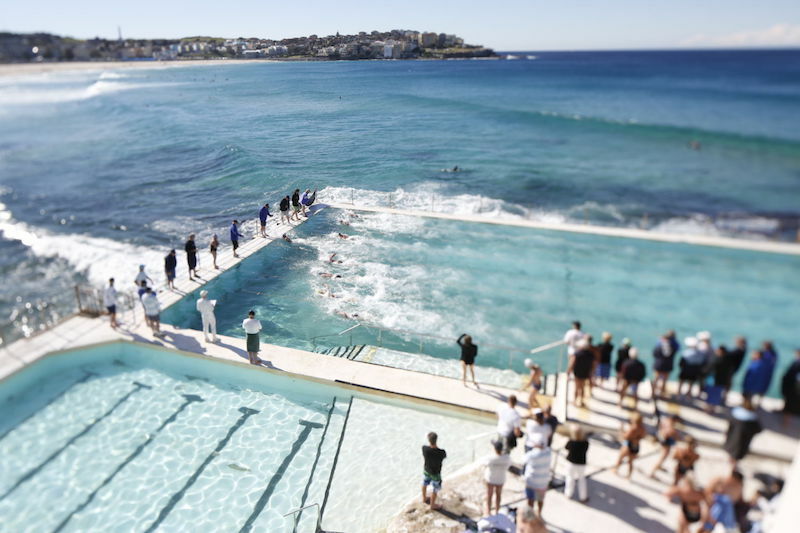 It’s time to go for a swim in one of Sydney’s top beach pools. We’re totally spoilt for choice when it comes to beaches in Sydney. For better or for worse though, mother nature sometimes wrecks havoc, leaving nothing but bluebottles, rips and possible sharks in her path. For the times when you still want the scent of salt on your skin, take a short stroll across the coast line and dip your toes in one of these incredible beach pools. It’s fitting that the most famous beach in the world features on this list. Made famous by its beauty and history Bondi Beach has been reaffirmed as a Sydney landmark due partly to the hit show Bondi Rescue. Head to the south end of the beach and have a dip in the luxurious Bondi Baths featuring a 50m lap pool and a smaller kids pool both supervised by lifeguards. You won’t forget this view anytime soon. 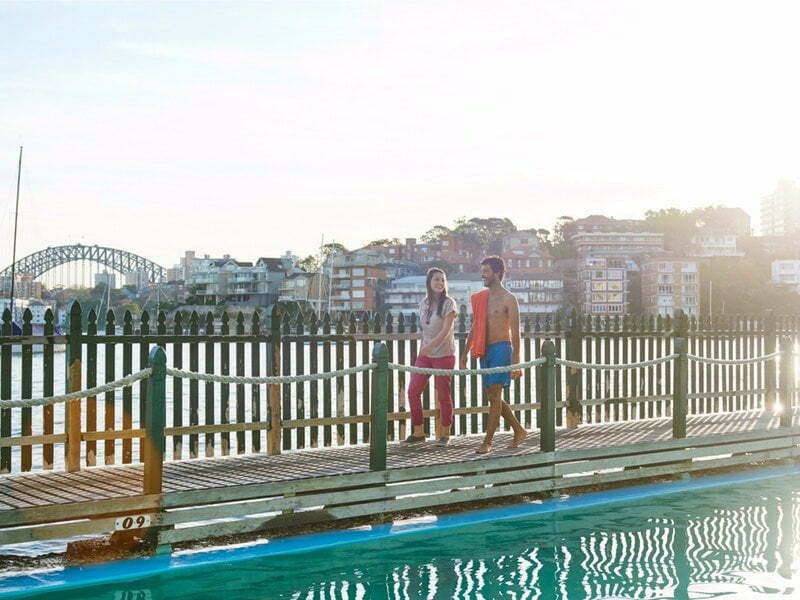 Surrounded by a striking timber deck, Maccallum Pool is one of the city’s oldest public ocean pools. Originally a rock-pool, the stunning area was transformed into a 33m harbourside pool in the 1920s. 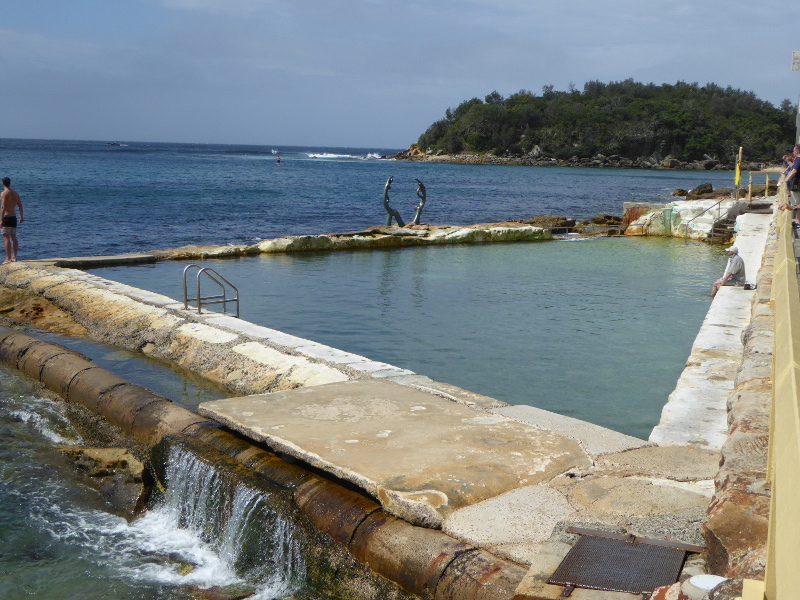 Located on the western side of the harbour, the now heritage listed pool is perfect for a dip or a sun bathe. 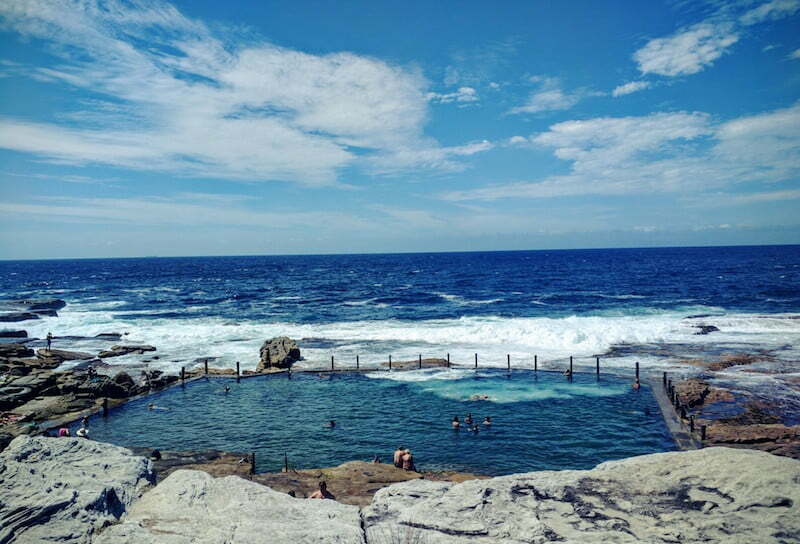 The Wylies Baths are a Coogee institution. Wade through the 50 yard pool, take refuge with a massage or a spot of yoga or enjoy a sambo from the retro kiosk, all with a 180 degree view of the Pacific Ocean. Ladies you can escape the mayhem at the much quieter, or so we’re told, Women’s Baths located just next door. This popular family park features an enclosed beach pool, picnic facility and children’s playground. 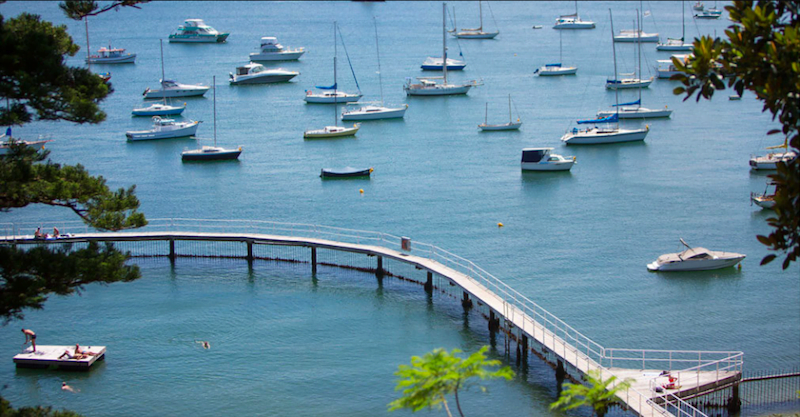 Parsley Bay has everything you need to keep the kids entertained while you relax and the sun’s rays. For the bigger kids, follow the path to the right of the beach and discover a beautiful wharf and smooth, warm rocks to lay on. Get there early as it can get very crowded on a hot day. 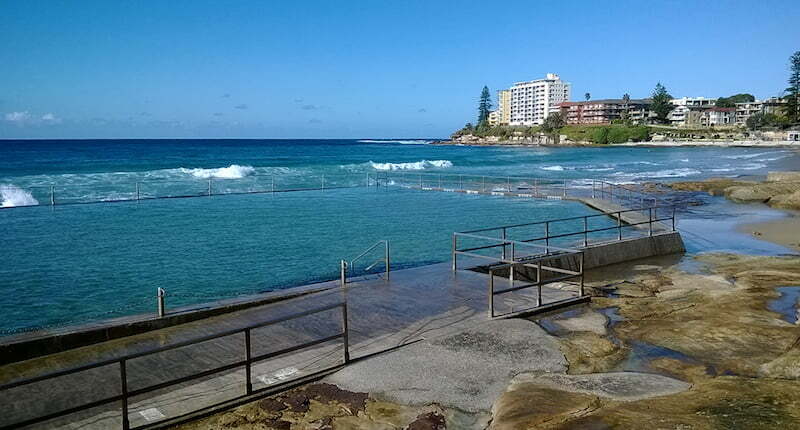 Take a short 15 minute stroll from Manly Beach to find this lovely ocean pool. With Manly’s iconic sculpture of two joyful bathers in the background – swim, paddle or simply bask in the sunshine poolside at this relaxing Northern Beaches hangout. If all that swimming has worked up an appetite, check out The Boathouse at Shelly Beaches. It’s less than a 5 min walk away. Sun lounges for the adults and plenty of space for the kids (or adults) and their beach toys. 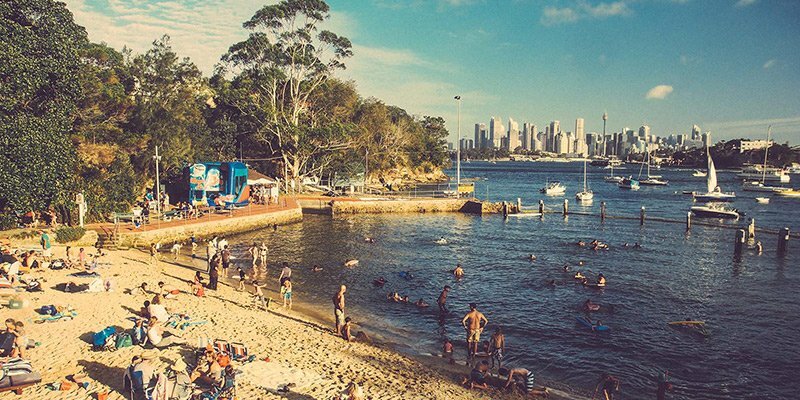 The Greenwich Baths are the perfect place to munch on Aussie summertime beach classics, from fresh fish and chips to ice-cream. Everything is available at the local kiosk. With the CBD in full view, the Greenwich Baths are ideal for a Sunday wind down before getting back to the daily grind. Head over to Maroubra Beach, grab yourself a coffee and muffin to go and walk up the north head along the footpath through Jack Vanny Memorial Park to Mahon Pool. Almost exclusive to locals, this pool is a place to dip your toes and do some laps. 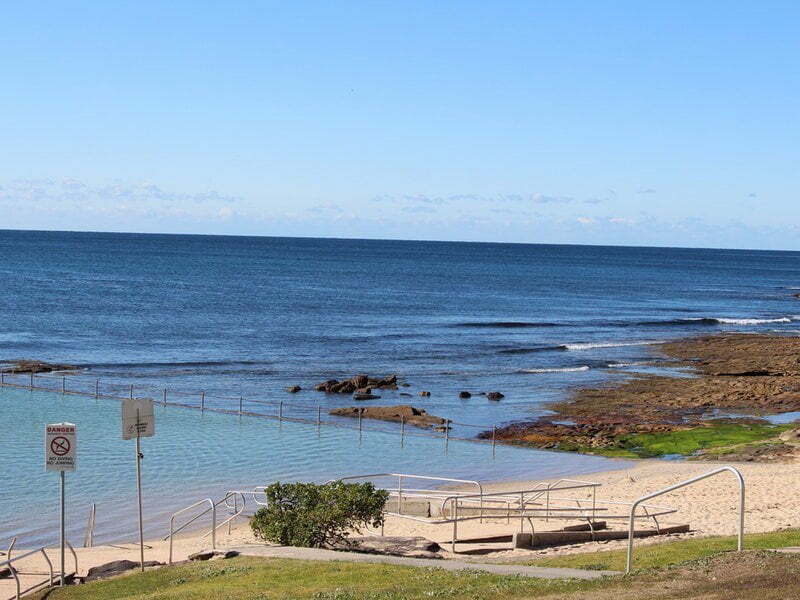 Situated at the northern end of the beach is Freshwater rock pool. 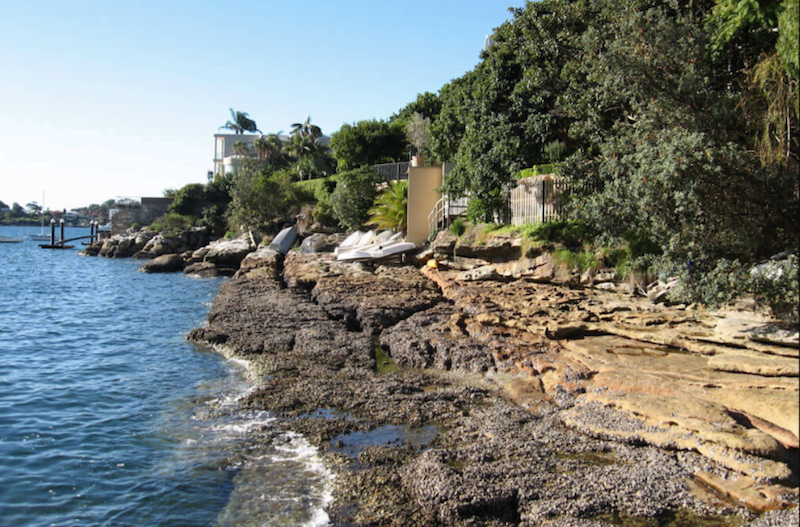 Commissioned back in 1925, this rock pool comes laden in rich history and charm. When the waves get a little rough, head to the rock pool to find the perfect retreat. You can either do some laps in the 50 metre pool or soak up the sunshine. 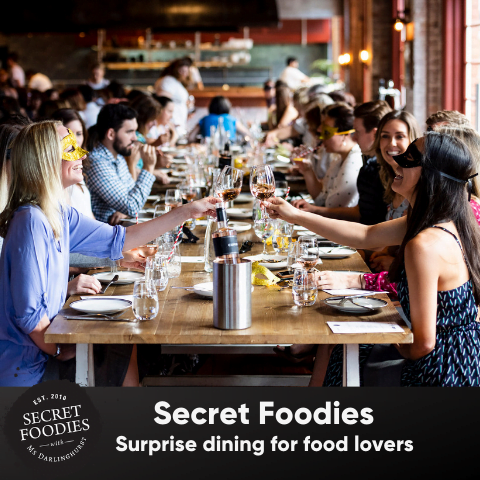 Either way, you’re in for a treat. 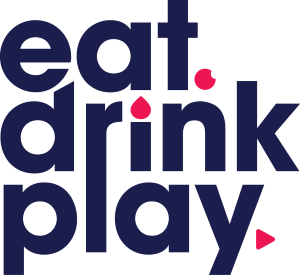 Head North for relaxed family fun at this summer hangout perfect for people of any age. Secluded at the end of the buzzing Dee Why Beach, the baths include a 50m lap pool for early morning swimmers, and wading area for the young-ones, or big kids who just want to bob along. Enclosed by a wrap-around deck, the Murray Rose Pool is the ideal place for a casual dip. Lying on the fringe of Sydney’s iconic harbour, lounge back on one o the floating pontoons before taking a wander on the timber deck. Once you are done sunbathing head to the kiosk for a classic beachside snack. Carved into a cliff face in the 1930s, the travel time is definitely worth it for this striking Dee Why ocean pool. Located at the end of a beachside walk, the rockpool is as natural as the come, with an uneven floor and the occasional visit from a local sea creature. If you are looking to escape the summer crowds and the stresses of the 21st Century, this is the oasis for you. 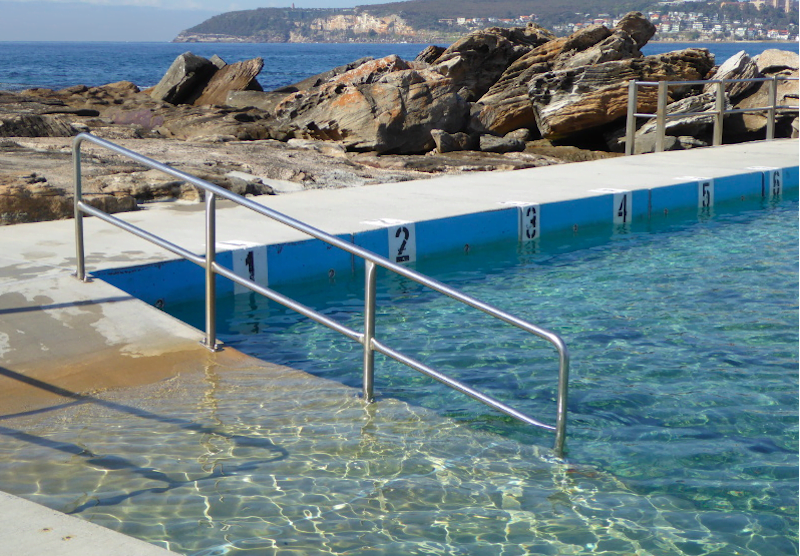 Acting as the halfway point between North and South Cronulla, this rock pool was recently revamped to include non-slip flooring and hand railings. Raised above sea level the southern suburbs pool is a great place to gaze out at the glistening ocean. At 50m long, the pool is a great way to start your summer health kick. Located on the fringe of Shelly Beach, this bath is an intimate affair for kids and adults. With its own sandy beach, the bath is usually awash with families armed with buckets and spades hoping to build the biggest sandcastle. The retro bath sits below a deco-inspired pavilion that is fitted with showers and toilets.